Why does Turkey think Rocky Balboa might be linked to coup attempt? 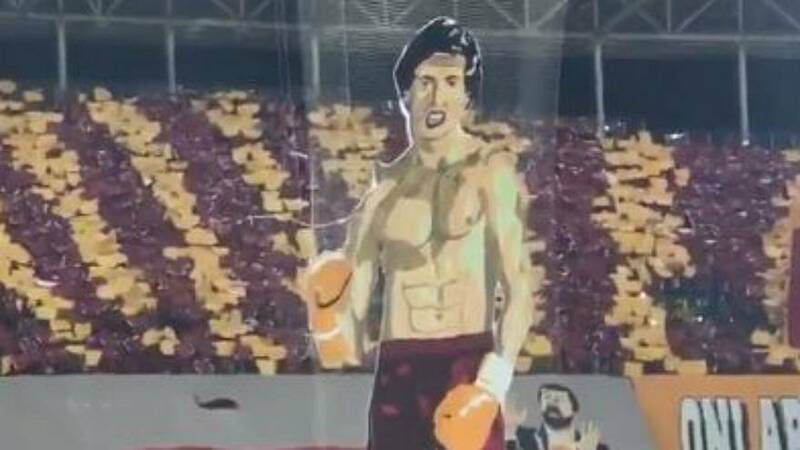 The Turkish government has launched an investigation into the origins of the Rocky Balboa poster seen at the Galatasaray match on Sunday. Pro-government media said the poster was clearly linked to sympathizers of Fethullah Gullen, whom Ankara believes was responsible for the 2016 failed coup. Prime Minister Binali Yildrim ordered authorities to open an investigation into the poster on Monday, said sources from his office. In a statement, Galatasaray said the accusations were a “pathetic attempt” to discredit the club, saying the poster was also used at a match in May. “We will use all our legal rights against any institution, person and social media account who tried to put the Galatasaray name next to that of the red-handed leader of the heinous terrorist organisation by using the choreography as an excuse,” the club said on its website. The club tweeted a photo of the poster in the stadium and thanked their fans for the atmosphere at the match on Sunday. Galatasaray is Turkey’s most decorated soccer club, with 20 league championships, and became the first Turkish club to win a major European trophy when they won the 2000 UEFA Cup, the predecessor to the Europa league.